Whether you’re moving into a new home or remodeling your current home, it’s important to have good quality windows that work properly. Many problems can arise when it comes to your home’s windows. This includes condensation, leaking, trouble opening or closing the window, draftiness and improper installation. Below you’ll find causes to these problems and learn how to prevent them. When it comes to condensation or fogginess inside a double pane window, it may be because of a seal failure. This is different than condensation that’s formed outside of the panes that is caused by the extreme temperature differences between the temperature outside vs. inside your home. If it’s super cold outside and you have the heat on inside your house, condensation can start to form on the outside of the window panes. This is something you don’t necessarily need to worry about, but there are ways to prevent this type of condensation. One way is to make sure you use your kitchen and bath exhaust fans. After you take a shower or you cook something, make sure to turn those on to avoid extra moisture from building up in your home. Another tip is to ensure your heating and cooling system is working properly to keep the humidity under control. In extreme cases, you may have to install a dehumidifier to control the moisture. 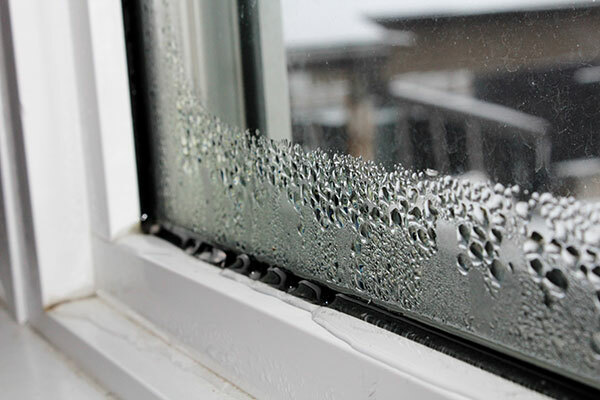 You may have a problem when condensation starts to form in between the two panels of your windows. This means the seal of the window is not tight enough, which can’t be easily fixed. Since there’s no way to re-seal the window, you will most likely have to replace the window. To avoid this problem, it is very important that you install good quality windows the first time around. Windows can leak for many reasons. If you notice your windows leaking, don’t ignore it! One of the reasons might be because the window has a bad seal. If you see that the window frame is rotting, warping, cracking or molding, the window is likely to leak (if it hasn’t already). If you see gaps or cracks in the window frame, you’ll need to re-caulk or re-seal it. If the frame is rotting, warping or molding, you will most likely need to replace the window to stop the mold from spreading. It’s also possible that the leaks are coming from the walls of your home. Check around the window frame to make sure there are no stains. If there are, the leak is probably coming from the wall. You can fix this by resealing the gaps and cracks in the wall. Whether the leaks are coming from the windows or the walls, it’s important to get them fixed as soon as possible. To make sure the leaks are fixed, wait for the next big rain storm and keep an eye on your windows. 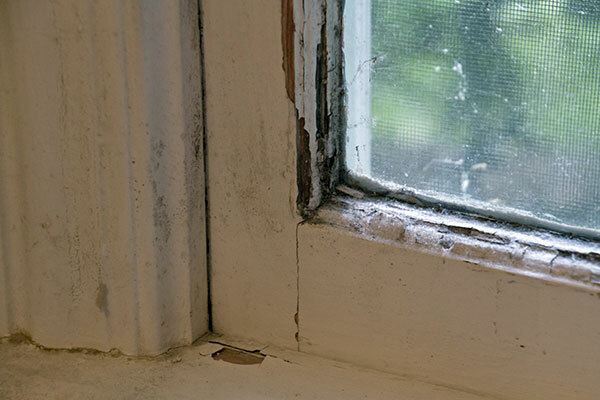 Some ways to prevent molding and rotting windows are to keep your home properly ventilated and regularly checked for mold. The same goes for cracks and gaps – make sure to regularly check your windows! The best way to prevent your windows from leaking is to get them properly installed by a professional. This way, you’re certain that everything is done correctly and you will not have to worry. If you’re having troubles opening and closing your single and double hung windows, it may be time to clean them. When dirt and dust collects in windows for a long period of time, it can be very hard to get them working properly. Try cleaning the windows with a non-silicone lubricant and repeatedly move the windows up and down to make sure they are working again. If you’re still having troubles, it’s likely that one of the window springs is too tight. You’ll need to adjust or replace the spring to allow for the window to move properly. If you have windows that crank in and out, like awning or casement windows, you may run into more frequent problems in regards to opening and closing them. The two most common causes of this problem is either that there are loose screws or they are not lubricated enough. Make sure to tighten those loose screws or lubricate the hinges of the windows. To prevent these window problems, make sure to properly and regularly clean your windows. Also, ensure that the windows are fully lubricated. Check the springs/screws and adjust, or replace, if needed. If you’re still having problems, it may be time to replace your windows. Drafty windows can be a huge problem, especially in the winter time. Drafty windows can be caused by poorly caulked windows, which leaves a gap between the window and the frame. If your windows are older, you may experience some draftiness as well. Drafty windows may also be caused by mold, temperature changes, poor maintenance or improper installation. If you find gaps or cracks between the window and the frame, you can re-caulk it using caulking items found at the hardware store. The best way to prevent drafty windows is to invest in vinyl replacement windows. Vinyl windows are durable and energy efficient, which will keep the cold air from sneaking into your home; this will save you money on your heating and cooling bills. You will not only save money, but your windows will be installed properly by a professional and you can be sure that no mistakes were made during the installation process. You can also prevent drafty windows by regularly maintaining them and checking for any potential mold. When it comes to installing new windows, you can either install them yourself or have a professional do it for you. If you do it yourself, it can be very inconvenient and you might make a mistake. Improper installation can lead to problems in the future, including stress cracks, leaks, rotting wood around the window, mold and more. To prevent these potential problems, it’s best to have a professional install them. You should strongly consider getting replacement windows installed by a professional who you can trust. If you’re looking to get your windows replaced, Feldco is a trusted company that installs vinyl windows throughout the Midwest. Feldco’s windows will prevent all of the problems listed above. Not only will they properly install your windows, but they provide a lifetime warranty. To get a free quote on your windows, fill out the form online at www.4feldco.com. There are many ways to prevent problems with your window, such as cleaning and maintaining them regularly. The best way to prevent these window problems is to buy high-quality windows that are installed properly by a professional the first time. If you follow the tips we’ve suggested above, you’ll be in great shape and your windows will age well.